Previously, we only saw an outline of the Q8’s profile. 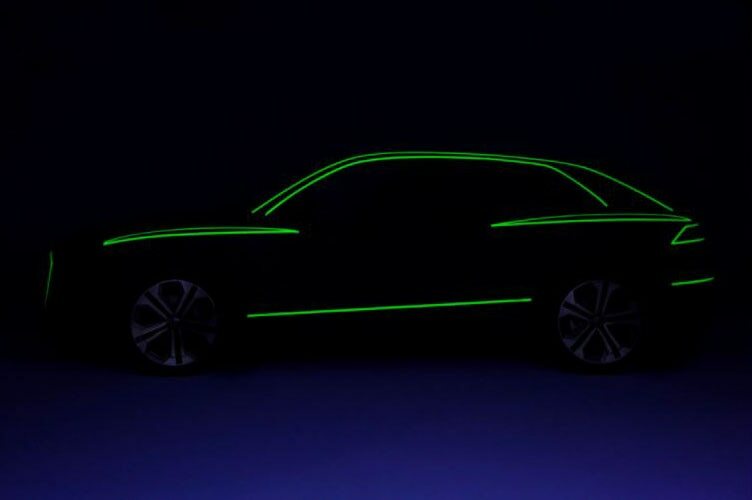 Now, we get a better look at the SUV’s raked C-pillar and thin taillights connected in the middle by a horizontal LED bar—just like the concepts. The sketch also reveals dual bumper-integrated tailpipes and large five-spoke wheels. On the same day, Audi dropped a teaser trailer for the five-part miniseries that will reveal the Q8’s design. Called “Q8 Unleashed,” the episodic video series was produced by Audi’s own Four Rings Studios, and will debut on the brand’s YouTube channel beginning May 21. Based on what we can tell from the trailer, the videos will offer plenty of drama and action, and at some point feature the car the series is named after. Of course, it’s impossible to talk about automaker-produced narrative fiction without mentioning BMW Films’ “The Hire” and the 2016 followup “The Escape.” It’s unclear if this production will rise to the same level of quality, but expect the product placements to be just as blatant. Hey, when it’s your movie, why not? Expect the Q8 to enter production in Bratislava, Slovakia, later this year. It will ride on the same MLB architecture that currently underpins the Q7, although it won’t have three rows of seating. In concept form, it was about 2 inches shorter than the Q7 but almost 3 inches wider. We’ve also caught Audi testing a hotter SQ8 variant, which is rumored to receive a performance hybrid drivetrain making as much as 470 hp. The Audi Q8 will compete against other fastback SUVs on the market including the Mercedes-Benz GLE Coupe and BMW X6. Audi is also gearing up to introduce another fastback-style SUV in the form of the Q4 for 2019.